Comments are additional ratings set by teachers in order to justify their students' grades. They are usually in the form of a dropdown that lets you select the appropriate feedback (e.g. Satisfactory, Excellent) There are cases when a teacher needs to go back to the Gradebook page and fill in a comment for their remaining students. This is the part where some teachers will accidentally click a function that deletes the previously saved comments. This article shows how you can retrieve the comments in this particular scenario. 1. The comment section can be accessed via Grades Due or via the grade submission page. 2. 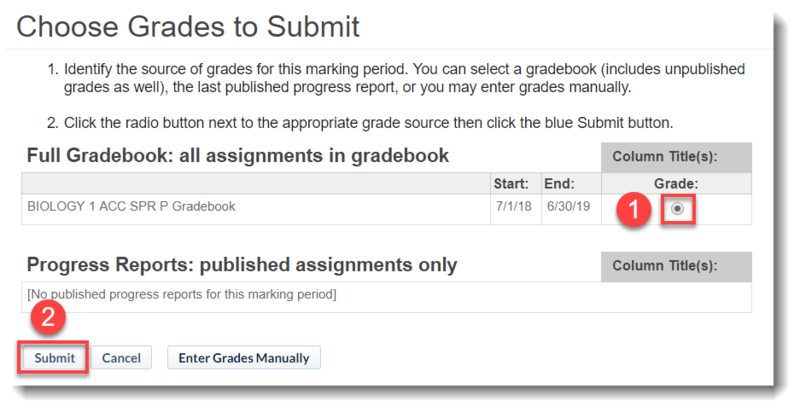 If there is a need to add comments on the remaining students, go to Grades Due > choose the appropriate subject, then click on the appropriate radio button and click Submit below. 3. 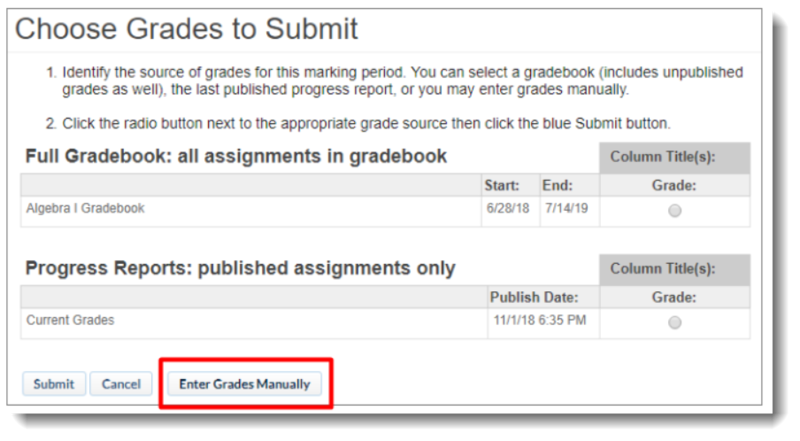 Clicking Enter Grades Manually automatically deletes all comments made by teachers. However, this option can also be used if a teacher needs to redo all comments. 4. In order to retrieve your comments, click Reload From Source and repeat Step 2. After performing Step 4, comments should re-appear.